WELL+GOOD: IS THE FUTURE OF FITNESS DIGITAL? Leading health and wellness media company Well+Good, hosted their second Well+Good Talk last night. Entitled Is the Future of Fitness Digital?, the panel explored just what the future of group fitness will look like. 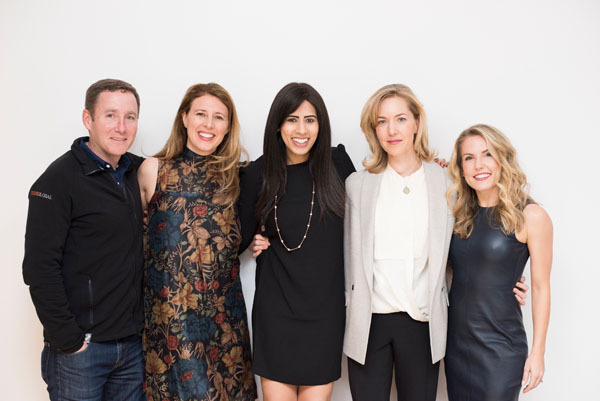 Panelists including Anna Kaiser, CEO and Founder of AKT; John Foley, CEO/Founder of Peloton; and Aarti Kapoor, the ‘wellness maven of Wall Street’ passionately debated the topic, discussing the lasting impact of group fitness IRL, versus streaming classes online. 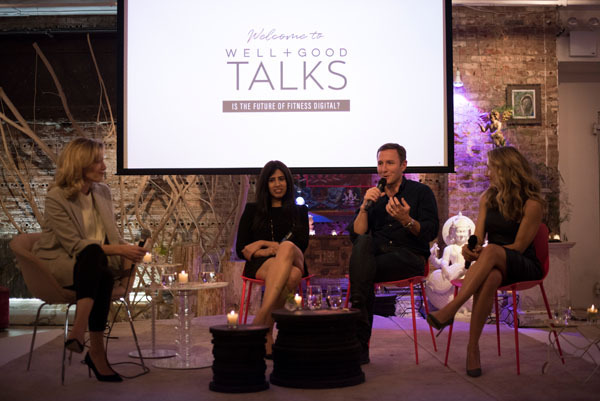 The Talk – the second in Well+Good’s newly-launched series – was hosted by Well+Good co-founder and CEO Alexia Brue and featured some of the top names in fitness, wellness and innovation. Well+Good asked: Will workouts become “studios” – places to film content that’s streamed to a global audience paying users and subscribers? Will digital content be dominated by a few large players or does the future look more fragmented with a wide variety of specialized workouts and influencers each selling their own product? The sold-out Talk was held at Deepak Homebase, ABC Carpet & Home (888 Broadway) and was open to readers for $35. ABOUT: Well+Good has been at the forefront of wellness since its founding in 2010 and continues to be characterized by its journalistic approach and ahead-of-the-curve trendspotting. Having long shunned weight loss advice and fads, Well+Good is a true innovator; in fact, they recently debuted their Well+Good Council, a handpicked ‘wellness think tank’ of experts like Miranda Kerr, Norma Kamali, Candice Kumai, and Elle Macpherson, who contribute to the site and help shape the editorial direction. Under Alexia’s and Melisse’s direction, the company – which won the 2017 Webby for Best Health Site – is set to double its users and revenue this year, and has earned recent praise from outlets including Forbes and Entrepreneur.